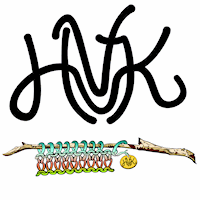 Welcome to Hudson Valley Knits! Today I have some FO’s and WIPS to show and talk a little about my sweater knitting goals and possible KALS. Emily from Fibre Town Podcast is graciously hosting a fundraising contest on her forum – so thought it couldn’t hurt to ask if you could give a little love. Maya (selkhet on Rav) and her sister are raising money for Team ASPCA for the TD 5 Boro Bike Ride in May, and along with Emily are doing a little giveaway for contest for folks that pledge – details available in Fibretown forum. which I link in my group. I am upping the anti with some Lorna’s Laces Solemate in the Rainbow color way. Event Horizon Pi Shawl by Donna Druchunas. There is a KAL thread in her Ravelry Group.